Coffee With Games: Andre Agassi, Pete Sampras, & Mario? Mario Tennis' Hours Report! Andre Agassi, Pete Sampras, & Mario? Mario Tennis' Hours Report! What do tennis greats Pete Sampras and Andre Agassi have in common with Mario? Well, they all have at least one tennis video game with their name in the title. Mario Tennis was originally released for the Nintendo 64 on August 28, 2000 in the U.S. The game was developed by Camelot and published by Nintendo, and received an ESRB rating of "Everyone" with no content listed for gamers and parents to be aware of. The game was re-released on the Virtual Console in the U.S. on June 28, 2010 and cost 1,000 Nintendo Points, or $10, to download. The game features 16 different Nintendo characters, and marked the first Nintendo game that Waluigi appeared in. How many hours have U.S. Wii owners spent serving up aces in Mario Tennis on the Virtual Console? Let's take a look! 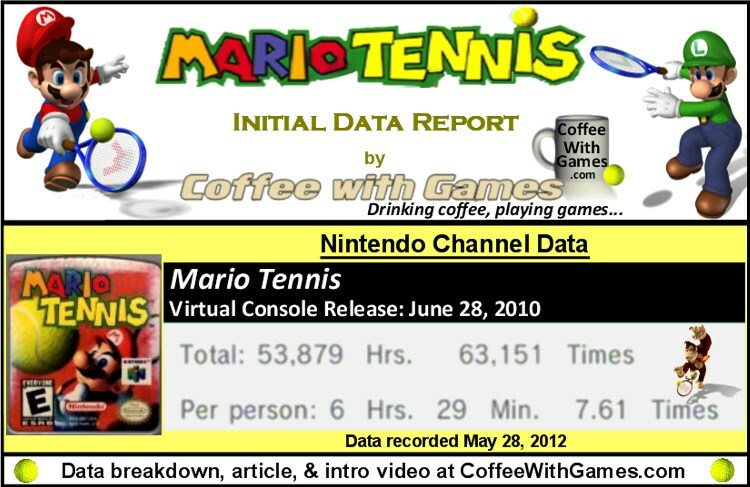 Mario Tennis has approximately 8,298 U.S. Wii owners that have reported game-play data through the Nintendo Channel, since the game released in 2010. The game's average play-time per day/session is just 51 Minutes. The game has a "professional" review score average of 89.97%, based on 15 reviews from GameRankings.com. The reviews appear to all be based on the original version, and not the Virtual Console version. When searching Amazon.com for the original version it did show up and it has a customer review score average of 93.55%, based on 121 customer reviews. Mario Tennis' U.S. Virtual Console release has made Nintendo about $82,980 before taxes, just based on the number of players that have reported data and the game's $10 price point. While I do not own any of the Mario Tennis games, I used to enjoy playing tennis in real life quite often when I was younger. While I used to enjoy tennis, I would now probably pass out within 5 minutes of hitting a court today! 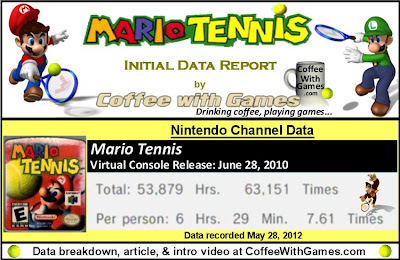 A tennis game in real life can last between 2-5 hours, with the average 5 set game lasting about 3.5 hours, so I think it's interesting that the average play-time per day/session reported is under an hour for Mario Tennis, sitting at 51 minutes. Did any of you play the original Mario Tennis on the N64, and/or the Virtual Console re-release? If so, where would you rank it among the other Mario Tennis games if you have played them? If you have a 3DS, and purchased the recently released Mario Tennis Open, is that a game you would recommend to other 3DS owners (linking to your own reviews in the comments is okay)? Also, do any of you perhaps play tennis in real life, or used to play like I did? This is by far the best Mario Tennis game. It's balanced and closer to the real sport than either sequel on the GC or 3DS - both of which are horribly unbalanced and over the top. But this one? One of the best Mario Sports games ever. I actually was wondering if the Pete Sampras and/or Andre Agassi tennis games influenced the series, and I know that Camelot did develop for Sega in the 90s, but never a tennis game before they did Mario Tennis. Thanks for the feedback! BTW, are you reading this from inside a trash can at the E3 expo?! I haven't played Pete Sampras or Andre Agassi Tennis games, so I couldn't answer that for you. The original Mario Tennis was a surprisingly standard take on the sport, though, so it's possible. I played Andre Agassi's on the Game Gear, and enjoyed it a good deal from what I can remember, so that could be an interesting comparison if somebody had those two sitting around. "And yes, yes I am. The smell is starting to make me sick, though. :("
Rule #1 for hiding in trash cans. Bring air fresheners! Rule #2: Don't fall asleep in trash can and get taken out! I have never played any of the tennis games. I was interested in the 3DS one as a first try, but it's low on my list of wanted games. @Matt S - I wish I was hiding in the trash can next to you prepping for E3. Instead, I will be manning the fort back here in Florida - watching Nintendo's E3 presentation on my lunch hour :-). Oh and remember to take the lid off and let some fresh air from time to time. Loved Mario Tennis on the N64, but haven't played any of the console versions since. 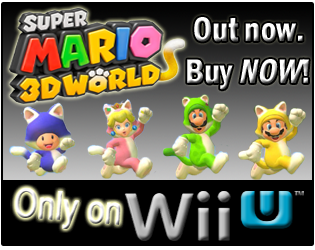 Maybe Nintendo will put this up for the month of June over at Club Nintendo? "I have never played any of the tennis games. I was interested in the 3DS one as a first try, but it's low on my list of wanted games." As for E3 next week, I'll be off Tuesday, so I'll be glued to the computer probably. Are you able to access any of the streaming video services for it while at "work", and/or websites that at least will be live blogging it? 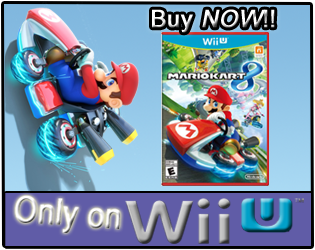 "Maybe Nintendo will put this up for the month of June over at Club Nintendo?" That would be AWESOME! I have the points, now just want to see what they are offering in June. Ha ha, yeah I actually have several games on my wanted list so it'll be some time (if ever) before I get said games. I work in IT and we have a separate DSL wireless connection we can hit, so I'll be switching to that on my lunch hour and streaming straight from either Facebook or Nintendo's official E3 page. Plus, 2 of our guys from NintendoFuse are going to be at E3 (lucky!) and they will be live blogging. In fact, one of our regular forum members will be calling in from his place in Virginia and having a live podcast with our guys out at E3. So it seems as though I have several options there! Interesting a good number of you work in IT -ish type jobs, I believe that would be three regulars around here, including you...gotta be a conspiracy or something. They work "IT-ish" jobs. All "game". All have sites/blogs. All interconnected on CWG. CIA, CONFIRMED! "Plus, 2 of our guys from NintendoFuse are going to be at E3 (lucky!) and they will be live blogging." Are they using a phone for live blogging, or bringing a laptop and hotspot to do it? I've always said to myself, that if I went to E3, I would make sure to have a few internet options available. Too bad this wasn't a June club title, I'd pick it up. Coffee, I have no idea what you're talking about. Fud Monger! "This sounds eerily similar to my plans as well." CIA...left hand doing the same as the right hand, they just don't know it, because it's all CLANDESTINE! Deniability is key. Compartmentalize everything. *backs up all online blog posts, for the inevitable crash coming Tuesday when entire IT departments stream videos, stealing the remaining bandwidth! "I prefer racquetball as it's clearly a better sport." I played racquetball a few times in college probably 10 years ago now, and enjoyed it. Today though, results would be the same as going on a tennis court...passing out quickly. "Too bad this wasn't a June club title, I'd pick it up." I'm probably picking up Kirby. Not sure about my other points that are expiring though. That's about where I would be as well. Used to play regularly for hours and now chasing a toddler around the house has me beat. I've never played a kirby game and plan to check out the series to see what would be good to dive into at this point. Maybe the 3D classics one.